Using a budget to manage your money is key to paying off your debt. But, sometimes your budget may not work. The numbers may not match up and somehow you always manage to spend more than you budgeted for. Here's a secret: many problems with budgeting aren't about the actual budget at all. Here are some of the common reasons budgets don't work and how you can get your budget on track. Your budget might not work during the first one to three months as you get it adjusted to your actual income and expenses and as you adjust to living according to your budget. Keep working on it and don't be afraid to adjust the numbers up and down as you need to. If your net income (income minus expenses) is a negative number, then you're spending more money than you make. The problem isn't the budget, it's your spending. Review each spending category and figure out which ones you can cut back on. This can be a difficult exercise, especially if you're overspending in areas that make you feel comfortable. But learning to live within your means will put you in a much better financial position. It's easy to underestimate how much you'll spend on some categories, especially food and gas. If you see that you're consistently overspending your budget in those categories, you might need to increase the budget for those areas. Remember that it could mean cutting back your spending in other places to keep from going over budget. You have to actually use your budget if you want it to work. Don't just write the numbers on paper and stick it in a drawer and forget about it. Refer to your budget frequently throughout the month. Track your spending and compare it to what you've budgeted to see how you're doing. Living on a budget doesn't mean you can't enjoy your usual hobbies and entertainment. It just means you've decided ahead of time how much you're going to spend on those things. Cutting out all the fun will make you resent budgeting and that's not the goal. Keep it reasonable. You can still have fun and not blow your budget. A successful budget doesn't require the latest spreadsheet or financial software. You could write put your budget on a napkin and make it just as effective as any electronic budgeting tool. If your budgeting tool is making you hate budgeting, take it down a notch. Print a few copies of this printable budget worksheet to get you started. Sticking to your budget will require you to say "no" to some unplanned purchases. You may even have to forgo a purchase just long enough to check your budget to see if you can afford it. Don't be afraid to delay some purchases, even if it means saving up for them. Yes, you can cheat on a budget. You might overstate your income or understate expenses. No one is going to punish you for cheating on your budget. 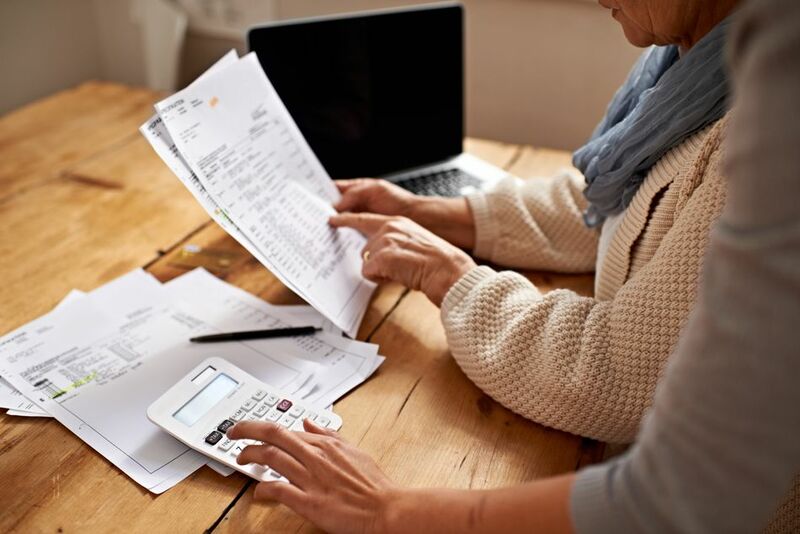 Realize, though, not sticking to your budget could have consequences, like more debt to pay or having to dip in your savings to pay regular bills. If you don't include every expense in your budget, it can seem broken when you compare your spending to your income at the end of the month. Use canceled checks, online banking, and ATM withdrawal receipts to capture all your expenses. Not all your bills have monthly due dates. Some of them, like insurance premiums or property taxes, are only due once a year. If you don't include these expenses in your budget, they'll take you by surprise. Budget for annual and semi-annual expenses by dividing the total expense by 12 or 6. If you put the money away during the year, those hefty expenses won't blow your budget. An emergency fund keeps you from having to spend out of pocket for unexpected expenses. If you don't have an emergency fund right now, start putting a few hundred dollars every month until you build a solid emergency fund that's three to six months of living expenses.